Create custom throw pillows for all your indoor applications. Add a unique touch to your beds, sofas and chairs! Start by choosing from our hundreds of different indoor fabrics, Sunbrella fabrics, Outdura fabrics and Robert Allen fabrics in a variety of colors and patterns. 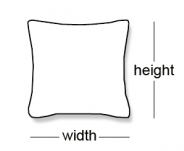 Your custom pillow dimensions must be at least 8 inches and cannot exceed 34 inches. Be sure to verify all your options before adding your throw pillow to your cart. 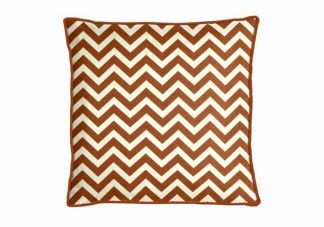 Cushion Clearance can create custom products using fabric you already own! Simply choose Customer Fabric (COMFAB) as your fabric selection. (COMFAB is usually listed first in our Fabric Gallery.) There is a one-time (per order), non-refundable $25.00 charge for the handling of your material. Please read our COM Procedures for more information. I have ordered many pillows f rom Throw Pillow Source and I am completely satisfied with all of their products! Amazing. Absolutely amazing. I was nervous picking out the fabric and everything on line to include getting the sizing correct. The seat fits perfect and is amazing. I am incredibly pleased with my window seat cushion and pillows! Ordering the cushion and pillows was a lot easier than I had imagined. They were produced and shipped timely as promised - I will definitely order from you again when I get ready to replace my patio furniture cushions. Thanks so much!